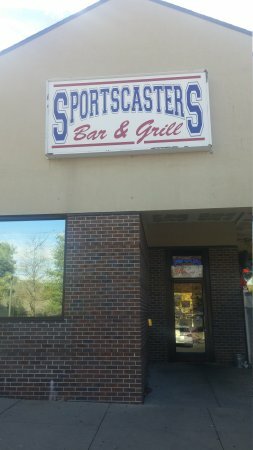 There aren't enough food, service, value or atmosphere ratings for Sportscasters Bar & Grill, Nebraska yet. Be one of the first to write a review! Place is half empty and it took over an hour to get food to the table. Half of the group was done eating before the other half got their food.....and we only have 16 people. We were looking for a place to get a burger and watch college football on a Saturday afternoon. Sportscasters was the perfect spot. The burgers, beer and TVs were good. The service was fast and friendly. This is our second time here. Both times have been on Sunday nights. The nachos are yummy! The service is great. Make your way down to Sportscasters, you won't be disappointed. Everything you want in a Sports Bar including good food. Great spot to get some really good bar food and watch the ball game on a cold Lincoln day. I highly recommend it. Sportscasters is close to the Abbott Sports Complex, so our team decided to have lunch before the next game. Good choice! Fast service. Wings were fine. The shrimp & chips were pretty good too. Plenty of space to spread out. Will see again next season. Get quick answers from Sportscasters Bar & Grill staff and past visitors.